If you have been exasperated by the increasing madness around you: Confederate flag activism, terrorist plots, an uptick in urban violence and a general sense of impending doom, last Saturday provided 12 hours of relief. Gettysburg Bike Week at Moose Park was an oasis in the midst of this world gone mad with nonstop live music under perfect skies from morning to night. Just 3 minutes East of town, Moose Park is a miniature Merriweather, with lush grounds, a pond, and bales of hay to sit on.The music was great, the people were sublime. Half Serious got the party started early, and one band after another a delivered top notch show. 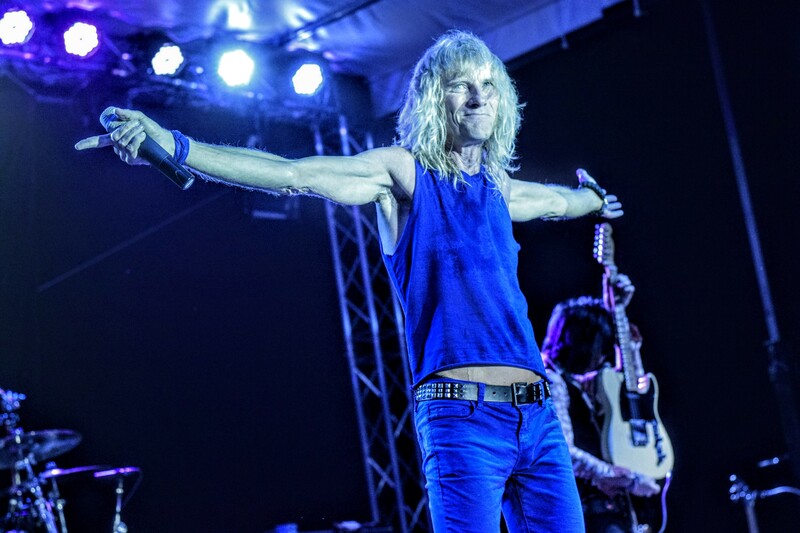 The night’s headliner took the stage just after dark with the high energy, over-the-top spectacle that is Kix. If you missed it, there are no do-overs. Lucky for you, we have some pics and videos. These pictures / video are high quality 1080iHD, don’t forget to press the HD button! ← Never Been to a Rafael’s Sunday Deck Party? Seriously? ?